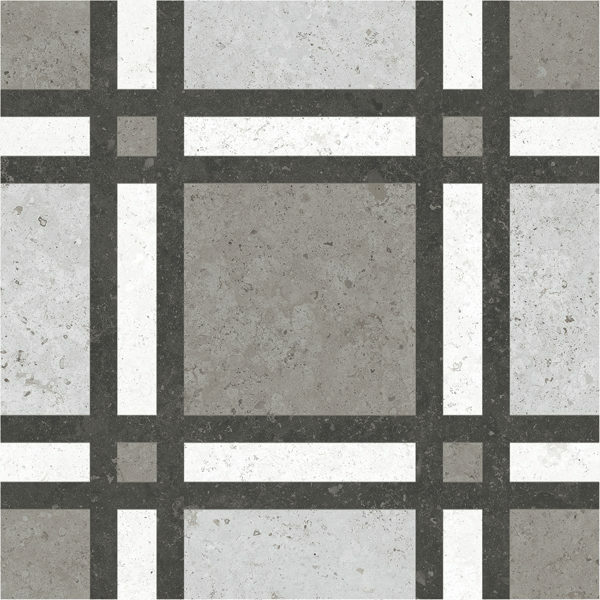 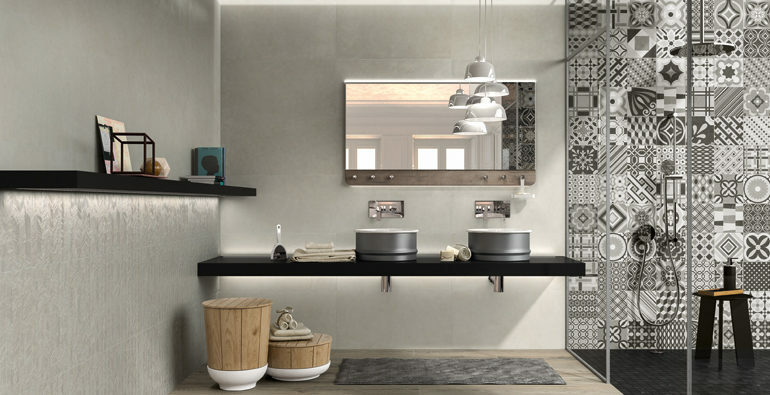 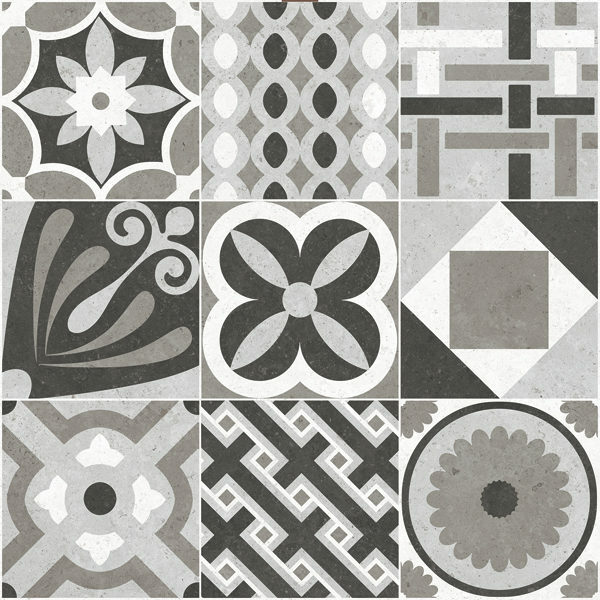 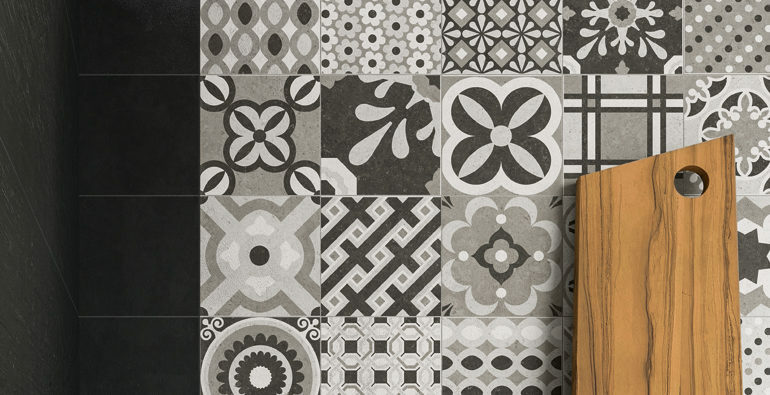 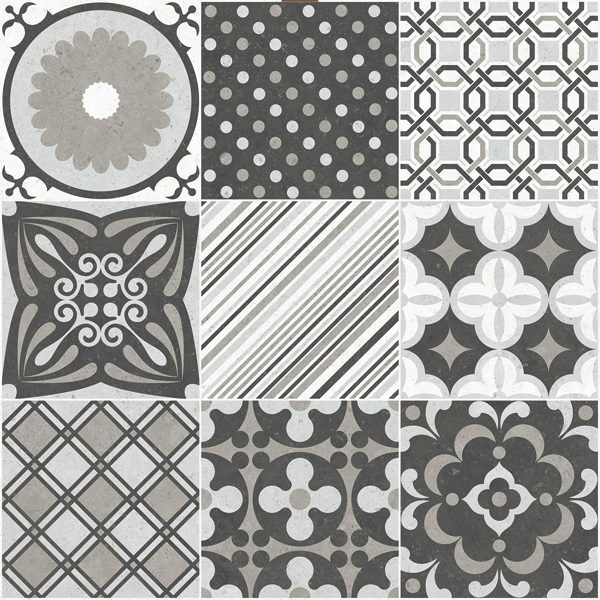 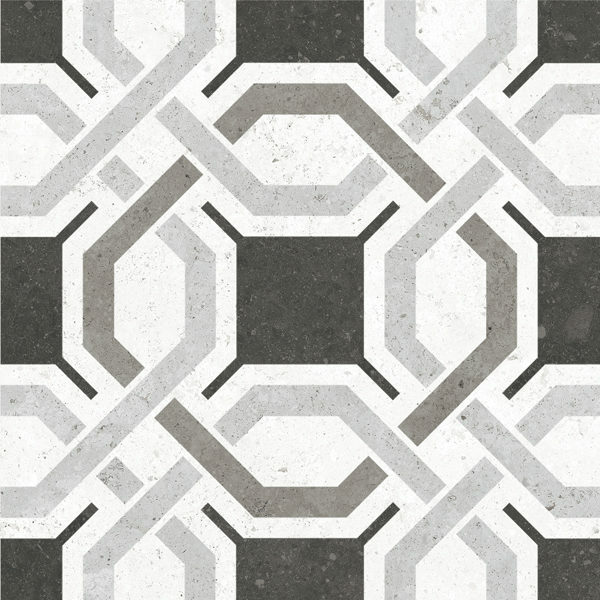 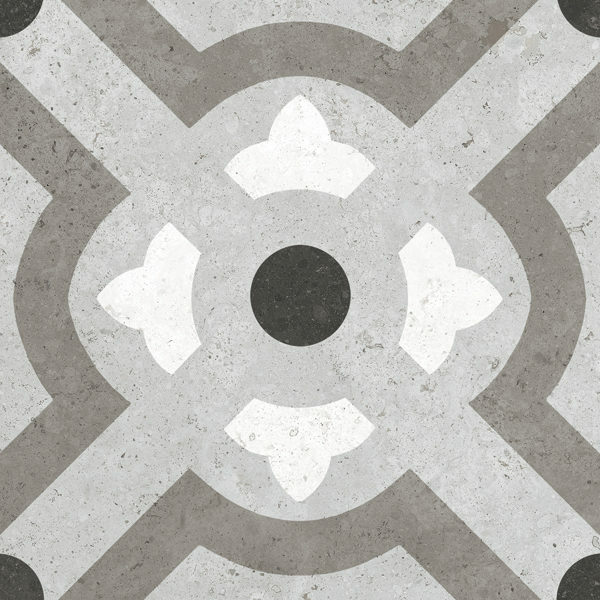 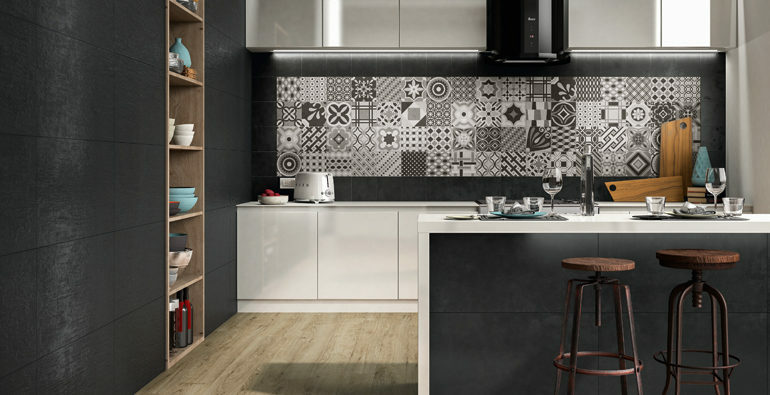 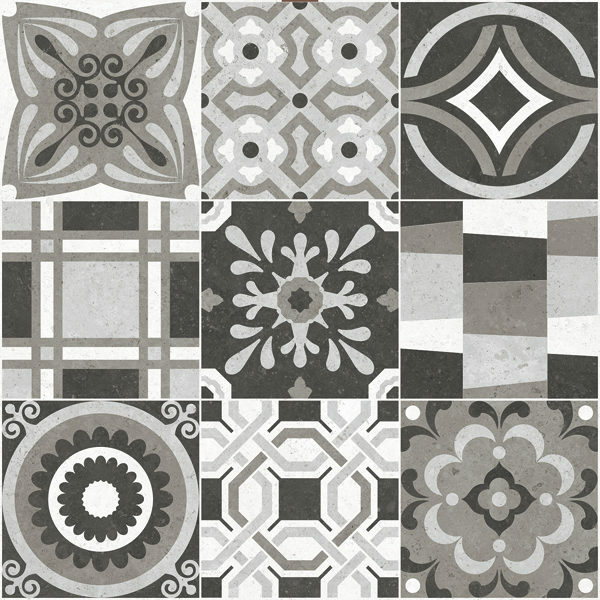 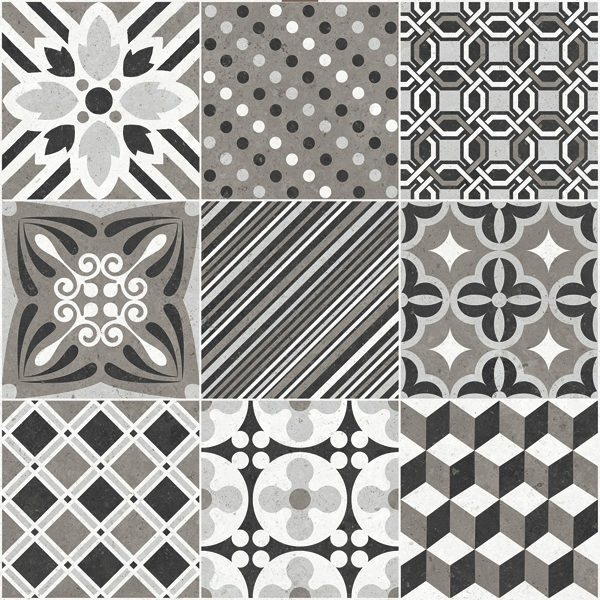 Deco is a glazed porcelain tile that takes on the spectacular and artistic look of decorative cement tile without the maintenance. 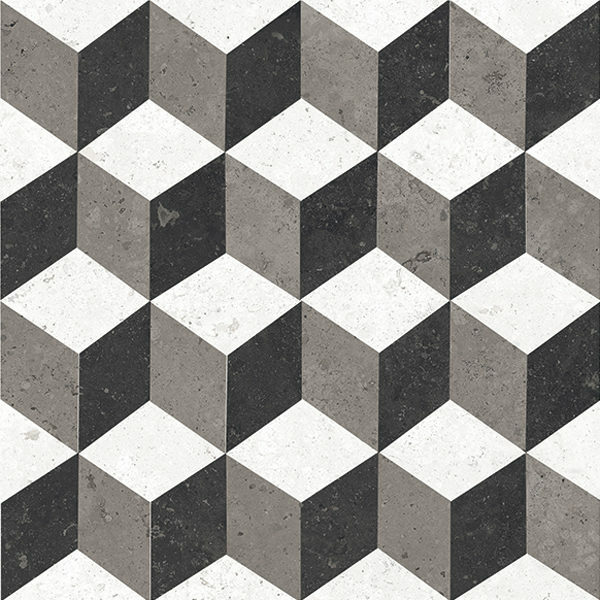 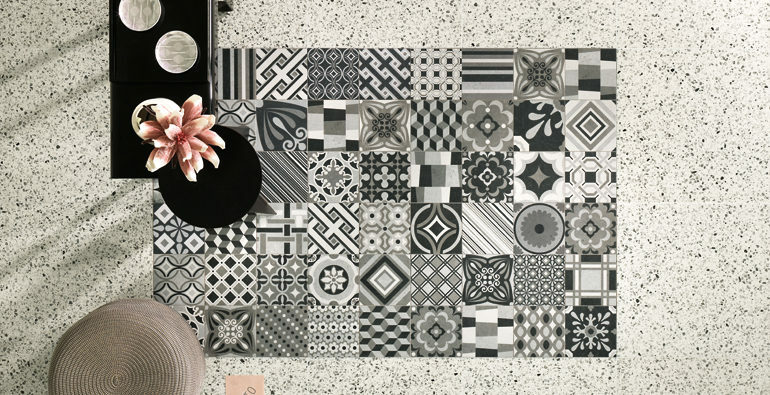 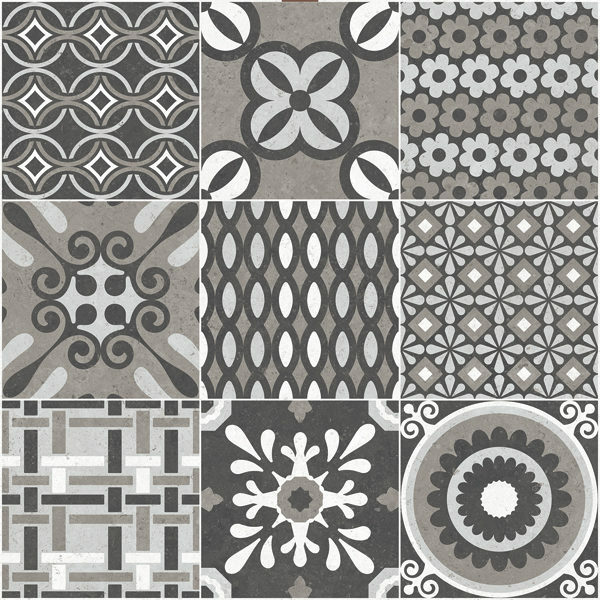 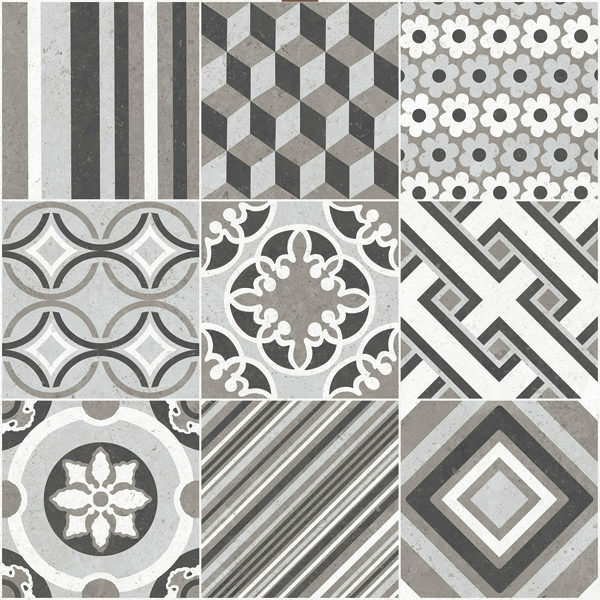 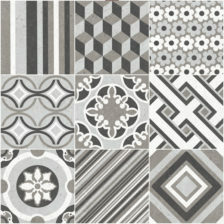 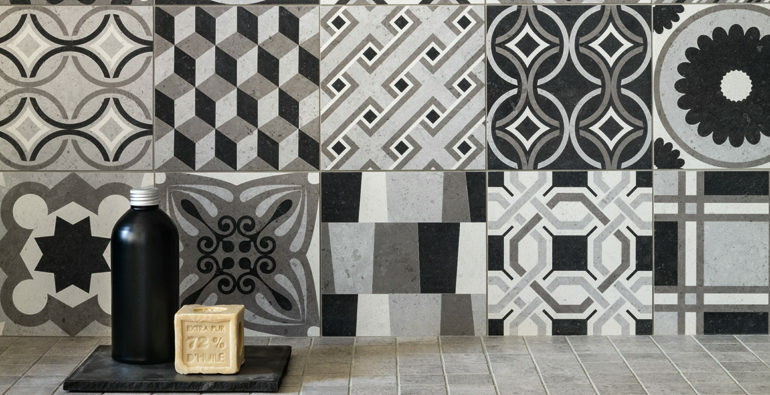 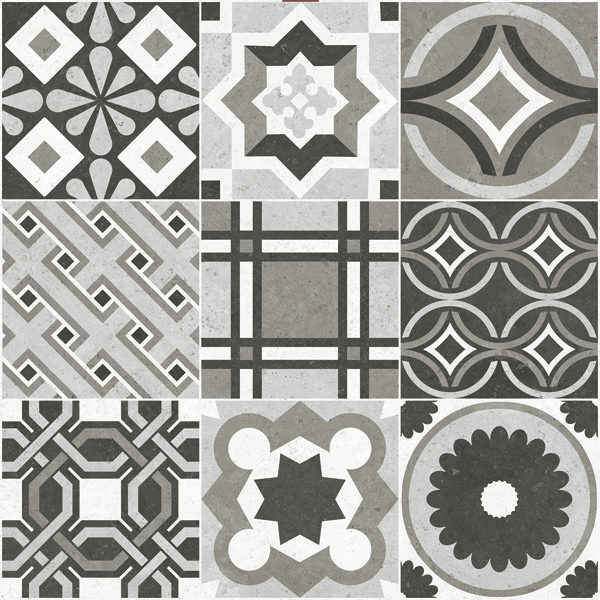 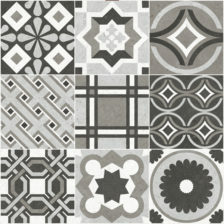 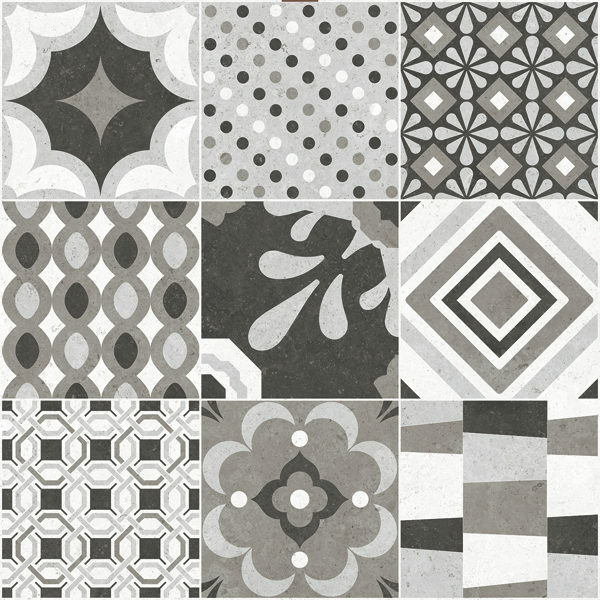 The showstopper in this collection is the Cementine Mix which boast 72 different patterns to be used in random order. 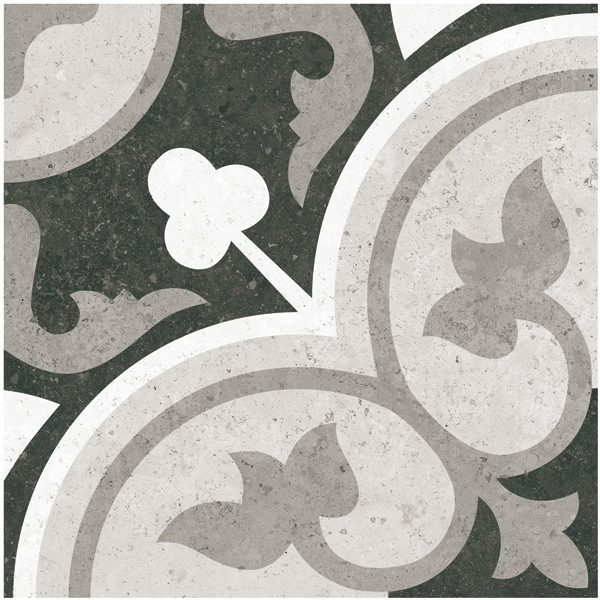 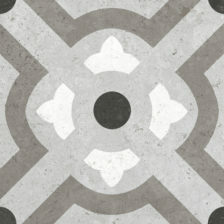 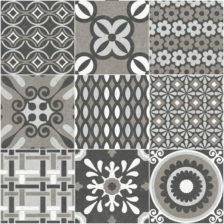 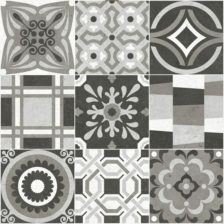 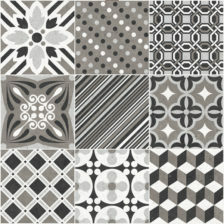 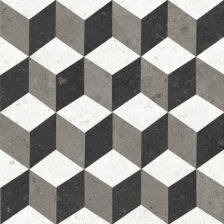 Or for those who like a little more order there are 5 single patterned tiles to liven up any room. Deco is suitable for all residential and most commercial floor and wall applications.